The Year of New Editions adds another to the ever-growing list. 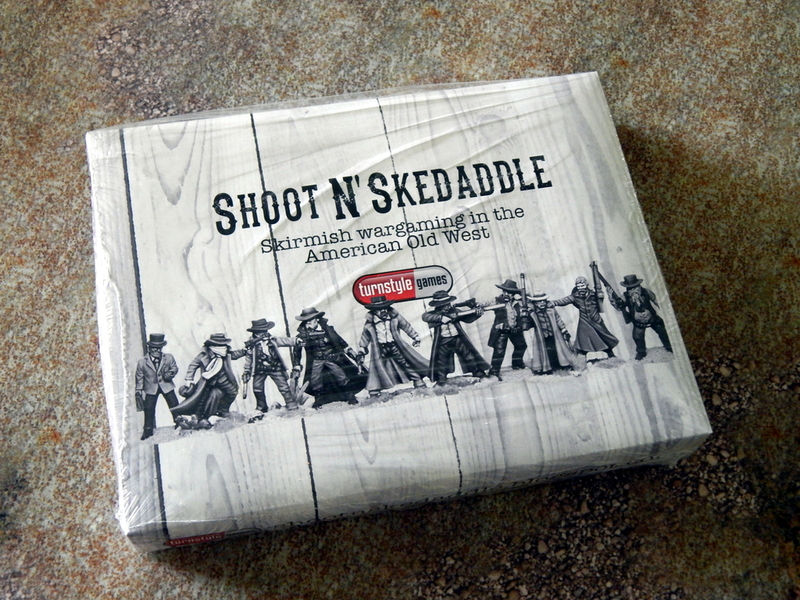 This time around it's Shoot 'N' Skedaddle, a skirmish game set in the Wild West. So grab yer 6-shooter and get ready to head 'em off at the pass! There's varmints to round up. So, what can you expect in this new edition? Lots, actually. There's a whole bunch of new characters that you can make up your gangs with. There's also plenty of new weapons with which to arm them. 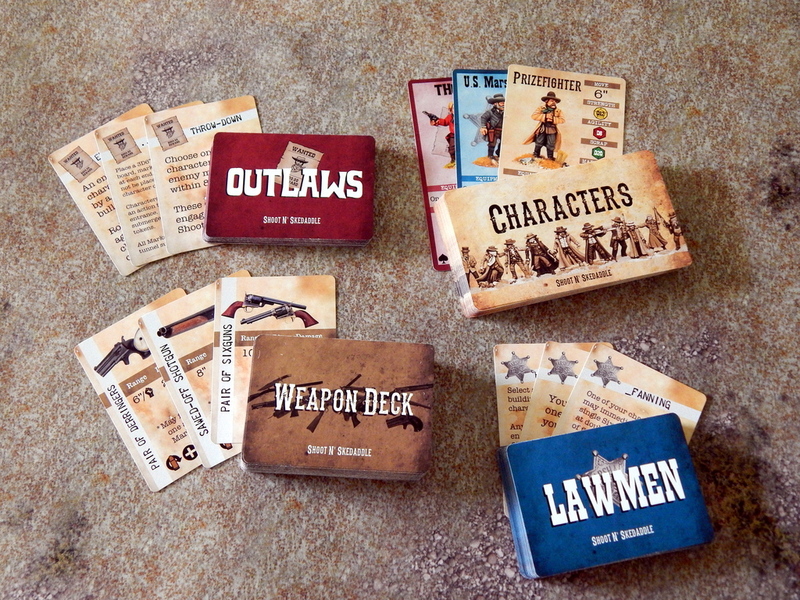 The rules, overall, have gotten an overhaul, being more streamlined. The Special Rules section has also gotten revised. Various new Special Cards have been added, while others were also updated (for both Lawmen and Outlaws). In the realm of pure aesthetics, all 184 cards have been redesigned, with new artwork, so the whole game just looks a lot nicer.